Is Chinese Medicine and Acupuncture Still Relevant? Is Acupuncture and Chinese Medicine still relevant? Chinese medicine was created prior to the use of microscopes, blood work, and germ theory. Its methods are very low tech and involve no machines. Inserting needles into the body seems barbaric! Added to this, there is the overly simplistic and clichéd stereotype. Mr. Miyagi type people and creations of strange herbal concoctions, leading to miraculous cures are imagined. The practice of acupuncture is undermined, as it is disregarded as a legitimate method of treatment. So why are people using acupuncture in increasing numbers today? Is acupuncture still relevant in our modern day healthcare system? Here’s what I tell my prospective patients who come in for acupuncture for Ridgewood, NJ, how acupuncture is still relevant for modern day problems. Western medicine is giving more and more nods to prevention; colon, breast, and heart screenings are becoming more popular in the medical community. However, unless you develop a disease, there is very little that Western medicine can do for you. Western medicine excels at emergency situations. If you develop a severe cut, clot, or need to reattach a hand. Outside of emergency medicine, people just go along as their health starts to go in a downward spiral. This spiral will affect all of us, that’s what happens with age. 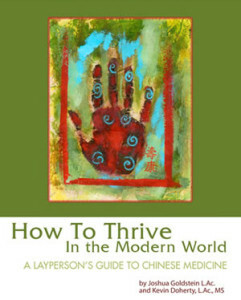 Chinese medicine’s strength is in prevention and practical help for the person who wants to get better health now. Low energy, insomnia, anxiety, fatigue, depression, digestive health problems are things that we all deal with. For the non-emergency situations, medicine can only help you once you have already developed a disease syndrome. By then, it is already virtually impossible to get rid of, just managed. Chinese medicine was developed as the Emperor’s medicine. The goal of the creation was to keep the emperor healthy, vital, and strong throughout his years ruling. His whole court and advisers became an elite class of people receiving acupuncture and Chinese medicine to help them stay healthy in their own lives. It helps to slow down health issues that affect people living in the most stressed out, overworked and over-stimulated society ever existing in the state of humankind. This makes Chinese medicine and acupuncture relevant for people looking to stay healthy as they live longer. People who’ve taken antibiotics and endured radiation and chemotherapy treatments know there are many side effects of the gut, immune system, and to the overall body. It is tragic to hear of someone successfully completing their chemotherapy treatments, only to get a reactivation of cancer. It is a lot more involved than simply taking a probiotic after you have finished your antibiotic. Here is the part that acupuncture and Chinese medicine truly shines. There is a lot of evidence showing positive effects of Chinese medicine, in helping build the immunity of the body so that the person can “withstand” the after-effects treatments. Chinese medicine helps strengthen the body once the treatments are completed or done concurrently to strengthen the immunity during use of antibiotics. This is definitely relevant for people getting sick a lot or still suffering from cold or flu like symptoms on a recurrent basis. Our hectic, over-scheduled lives leave us little time to nourish ourselves on a deeper level. Meditation, yoga, tai chi, or Qi Gong are extremely valuable tools to help in this, but acupuncture treatments force your body and mind to stay still during the session. The stillness, along with the stimulation of the needles to the specific areas of the body, helps promote blood flow for a more balanced and stable life. With the right practitioners and right suppliers, using pure herbs can be a wonderful alternative to simply taking more medications. In medicine, with the abuse of painkillers, the trend is to give fewer medications. Doctors are prescribing fewer medications, leading more people to consider acupuncture and Chinese medicine as, very relevant, to bridge this gap. For some, Chinese medicine is a total substitute, but for most- it is a helpful ally in dealing with issues that can only be treated with more medication. Ethical practices by trusted suppliers, as well as astute herbalists, can make the difference in many lives. As our society becomes more aware of the side effects of medications, many are looking for alternative ways to stay healthy and avoid over medicating ourselves. So to answer this question, “Is Acupuncture and Chinese medicine Still relevant today” ? 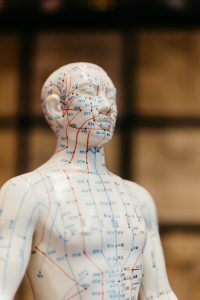 We find that acupuncture and Chinese medicine is making it’s way back into our culture because it offers a natural approach to addressing the symptoms of stress, immunity and burnout that most people feel. Want to learn more? I recommend you browse the blogs for useful information about acupuncture. Have a specific problem you’d like help with? Give us a call, and we would be happy to assist you! Call 201-444-7150.